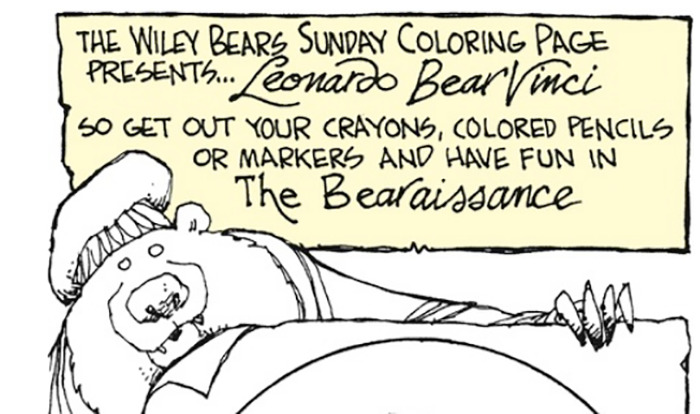 From Wiley Miller's Sunday Non Sequitur cartoon; the full comic can be found at the link below. On Sunday, the nationally-syndicated cartoon Non Sequitur, penned by cartoonist Wiley Miller, included an Easter Egg in its strip: a scribbled insult to President Trump that included profanity. Butler Eagle, who owns Pittsburgh City Paper, announced Sunday it was dropping the cartoon from its Sunday comics. "It has nothing to do with Trump," General Manager Ron Vodenichar tells City Paper." Butler Eagle does not publish the F word in our family publication, and it was deceitful to try to hide it the cartoon." City Paper, which runs its editorial department independently from Butler Eagle, prints a weekly nationally-syndicated comic of its own by liberal cartoonist Jen Sorensen.